Nursing homes and various assisted living facilities are set up across the nation in order to aid the elderly when they can no longer fully take care of themselves. But despite the caring nature of these facilities, there are many staff members and nursing personnel who choose to abuse or neglect residents in a variety of ways. Often, these instances of abuse go unreported and unnoticed by relatives and can continue for years, victimizing many elderly residents across California. Elder abuse can be emotional, physical, sexual, and financial in nature, and can also come in the form of neglect, leaving many elderly residents in unhealthy and dangerous conditions. Whether abuse comes from an intention to harm elders, an uncaring nature, or poor staffing and facility conditions, all are illegal and have the potential to cause pain and suffering and shorten lives. Elder abuse (physical, sexual, financial and emotional) is widely under reported. When decisions are made to place an elderly parent or grandparent in a nursing home, it’s always with the best intentions. The brochures paint a wonderful picture of strolls on the grounds, companionship, and warm, caring professionals there to meet every single need. It would be nice if we could count on that kind of care. But reality shows some nursing home residents live every day in a nightmare – isolated, ignored, physically and mentally abused, stripped of their dignity, and lacking the most basic care. Because nursing home abuse is hard to recognize and is usually covered up by nursing home staff, victims and their families can benefit greatly from the assistance of our nursing home abuse lawyers. Our attorneys know how to recognize and prove abuse and neglect. If you have a loved one who is suffering from nursing home abuse, we can make it right. We care about your case and our nursing home abuse attorneys will do their best to make sure your family member is never harmed again. 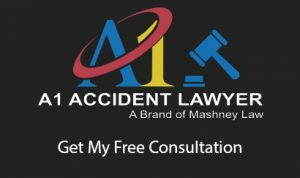 Contact an Anaheim nursing home abuse attorney at A1 Accident Lawyer (A Brand of Mashney Law) now because every second counts. How does Your Nursing Home Rate? Nursing home abuse and neglect is now a widespread and growing epidemic. It’s a product of poor employee screening and training, and just plain negligence from nursing home owners who care more about making money than providing a pleasant existence for the elderly. We also have a team of investigators and research professionals who know how to recognize and prove abuse. We use our resources to track down former nursing home employees and research state records. Our Anaheim personal injury lawyers analyze staffing logs and hire photographic investigators to help build a strong case against the offending facility. Contact our offices to schedule an appointment with our nursing home abuse legal team. The abuse of senior citizens, either by hired caretakers or their own family members, is an unfortunately frequent occurrence. Abuse may take an active form and involve hitting, punching, kicking, restraining, or sexually assaulting an elder. Or, it may also occur in the passive form–failing to provide adequate nutrition, medical care, hygiene, and sufficient activity. Emotional abuse may involve isolating or verbally berating the senior. Senior care abuse is a serious issue that can have dire consequences for the victim and their family. If you suspect that someone you love is a victim of senior care abuse, please contact our nursing home abuse lawyers in Anaheim, California today. Assisted living facilities serve older residents who need help with some daily activities, such as cooking, dressing, or taking medications; but for whom maintaining a level of independence is important. Assisted living facilities do not provide the same amount of attention and care as nursing homes, but do offer help to seniors who are in between the stages of being fully independent and needing nursing home care. Unfortunately, abuse sometimes occurs at such facilities. The abuse may be physical (i.e. hitting, kicking, punching), sexual, or even financial. Abusers may also intentionally over medicate residents. If you or a loved one has been the victim of assisted living abuse, it is important to seek help from one of the nursing home abuse attorneys at A1 Accident Lawyer (A Brand of Mashney Law) in Anaheim, California. Not only do you and your family deserve compensation, but by filing a lawsuit, you may be able to prevent future abuse at the facility. The Centers for Medicare and Medicaid Services reports that more than 91 percent of American nursing homes are insufficiently staffed. What this study (sponsored by the federal government) also revealed is that an astonishing 40 percent of nursing homes would have to hire 50 percent more staff in order to comply with the minimal standards set by the government. The sad reality is that, in many cases, fast food restaurants are offering higher wages than nursing homes typically pay. This low pay and chronic under staffing has led to nursing home abuse and neglect claim investigations across the country. A program created by the federal Centers for Medicare and Medicaid Services, is now posting on the Internet detailed information about the quality of care delivered by nursing home facilities in the United States. The ratings are based on an evaluation of each resident at least every 90 days, and they rate the facilities in nine “quality measures” adjusted for patient severity. These new ratings can be found at Medicare’s website here. Visit often: Try to make your visits unannounced and at different times of the day. Learn when staff shifts change and try to visit during each shift. On each visit, spend some time alone with the elderly person, when no staff members are around and they are free to talk. During this time, ask the elderly person about their treatment. Also, observe their behavior around different caregivers and take notice if they seem frightened or withdrawn around certain people. Take notice of any unexplained bruises, cuts, or bedsores. Also take note of any missing personal items. Gently, but assertively, question caregivers about anything you find troubling. Document everything: Use your phone to take a picture of your elderly loved one at every visit so you can notice subtle changes in weight, disposition, and overall health. Take pictures of any injuries you find, and make sure you keep a written record of when those pictures were taken. You should also take a picture of, or write down, the medications they are taking, and the doses, and ask a pharmacist or doctor if there are any conflicts. If possible, become a co-signer on the elderly person’s bank accounts: Having joint accounts will allow you to monitor your loved one’s finances so you can see if there are any unexplained withdrawals or purchases. Remove the elderly person from the caregiver or facility: if you think their life or health is in serious danger. Report the abuse to the appropriate agency: National Center on Elder Abuse (NCEA), Adult Protective Services (APS), Area Agencies on Aging (AAAs), Medicaid Fraud Control Units (MFCU). Contact a qualified Anaheim nursing home abuse attorney: Hiring an attorney to represent you and your elderly loved one is vital in putting an end to elderly abuse. While government and advocacy agencies may move rather slowly, a lawsuit can immediately hit the abusive party (individual or facility) where it counts—in the wallet. Many times an elderly person is unable to speak, or afraid to speak, about abuse and neglect. In such a case, it is your duty to be their voice and consulting an attorney is a great way to get that voice heard. Once we’ve seen your documentation* and investigated your case, we will file the necessary documents in civil court. The defendant will then be notified of the charges. In most cases, the accused person or institution will want to reach a financial settlement, and request that our firm meet with their lawyers. They will do this because it will save them all the bad publicity and expense of going to trial. We will only settle if you agree to settle and agree with the amount and terms of the settlement. If we need to go to trial, we will have expert medical witnesses on hand to testify about how the abuse led to the plaintiff’s injuries. Damages in an elder abuse claim can include medical bills, medications, pain and suffering, compensation for monetary losses, punitive damages, and more. While a civil claim can’t get the defendant’s licenses and certificates revoked, the surrounding publicity of the civil claim can prompt authorities to take notice and possibly file criminal charges. The law team of Anaheim nursing home abuse attorneys at A1 Accident Lawyer (A Brand of Mashney Law) are dedicated to protecting the state’s elderly population and preventing further harm from those who choose to use their position to exploit those they are meant to aid. When it comes to nursing home abuse cases, we are driven by our own sense of humanity and an obligation to protect those who can’t take care of themselves. Each of the nursing home abuse lawyers and elder neglect attorneys at our Anaheim personal injury law office is committed to holding those responsible for elder abuse accountable for their actions. If you suspect someone you love may be the victim of elder abuse, contact us today.